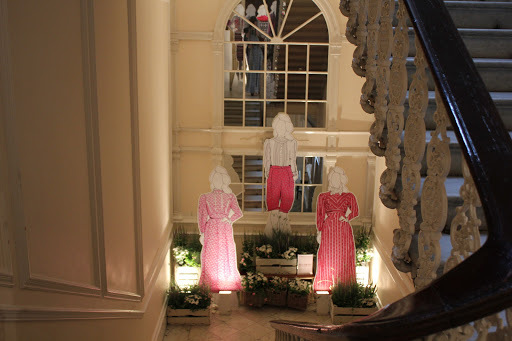 I’m down in Hampshire this weekend doing some research for my masters dissertation, but whilst i was down sarf’ I though it would be rude not to take a trip to Bath and view the Laura Ashley exhibition on there (particularly seeing as I am currently obsessed with the brand). 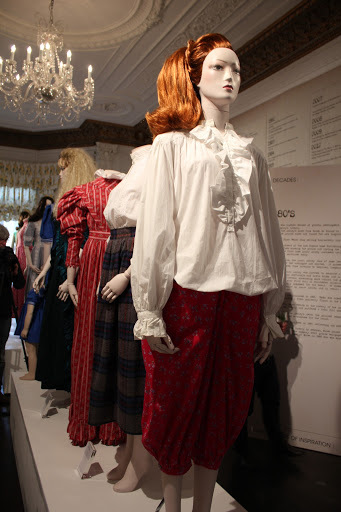 The exhibition is a fabulous trip into the Laura Ashley brand, perfectly capturing a particularly period during the 1970s when Laura Ashley defined the zeitgeist for a return to floaty Victoriana. 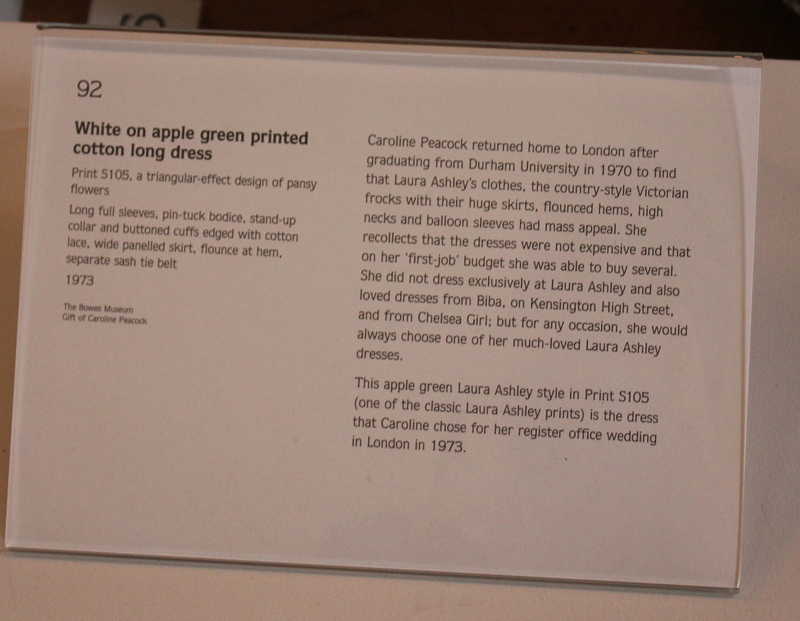 What the exhibition gives you a great idea of is the re-use and readaption of prints. 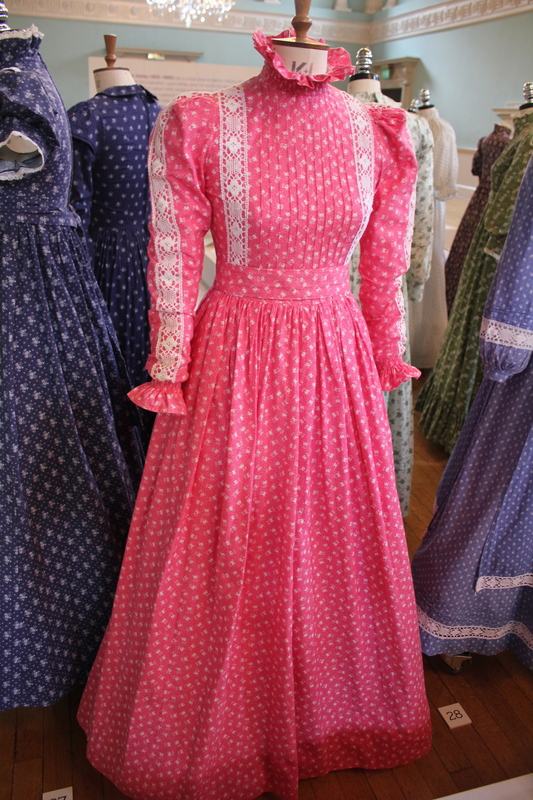 Changing garment shapes and applying the same print, changing colours and actually chaning the complete feel of the dress. 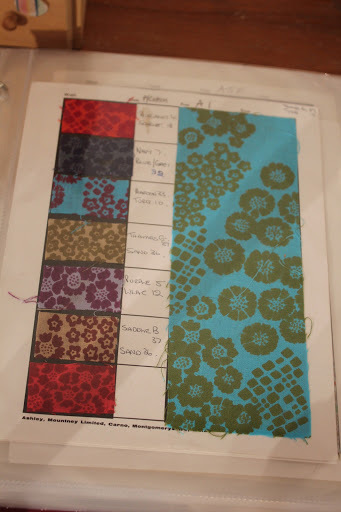 One of the strongest aspects of the exhibition for me was the labels. 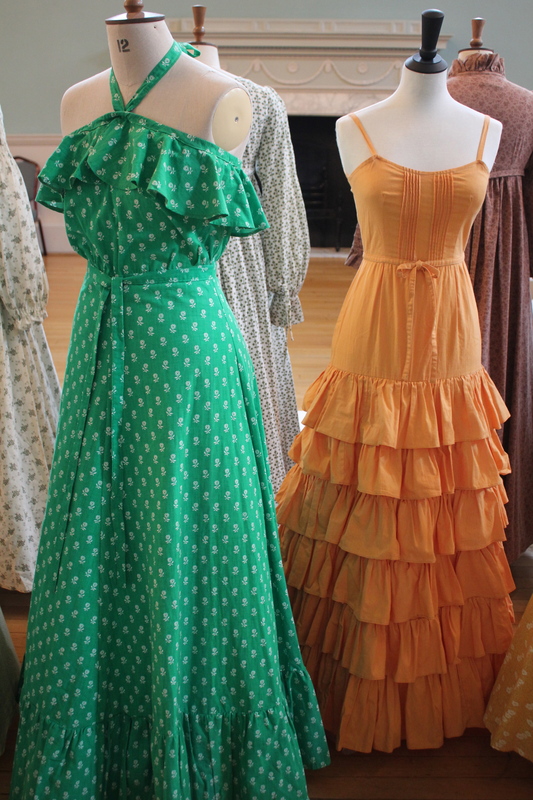 These dresses were expertly put into context with the stories of the original owners coming through and making you really examine the dresses. 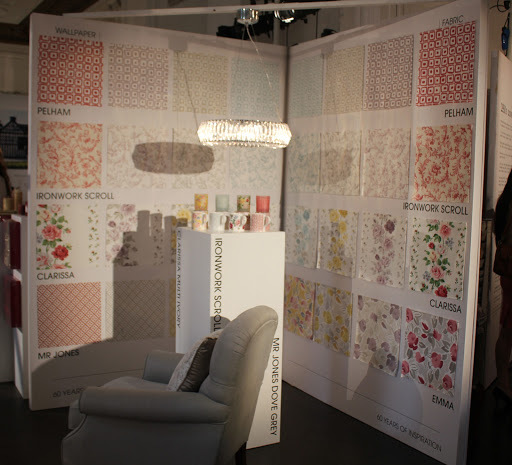 They also helped to give a real idea of the Laura Ashley store experience from a customers point of view. 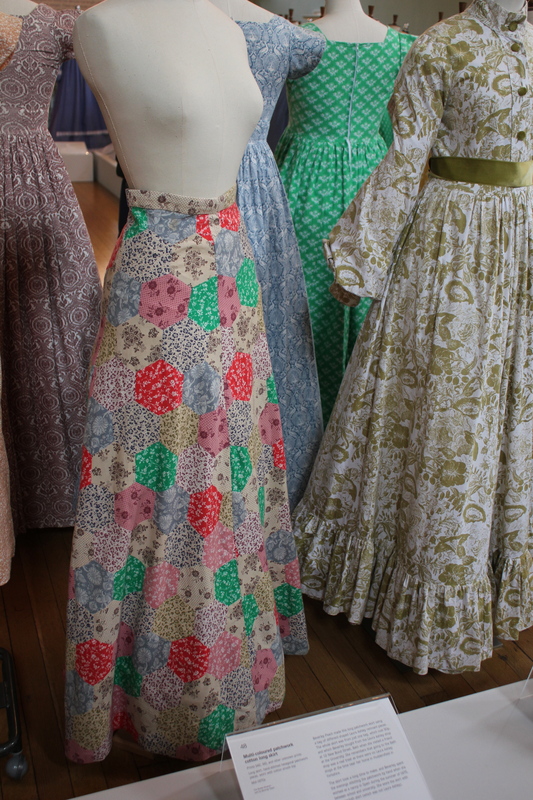 I adored this patchwork skirt that was made from scraps of Laura Ashley fabric in the 1970s. 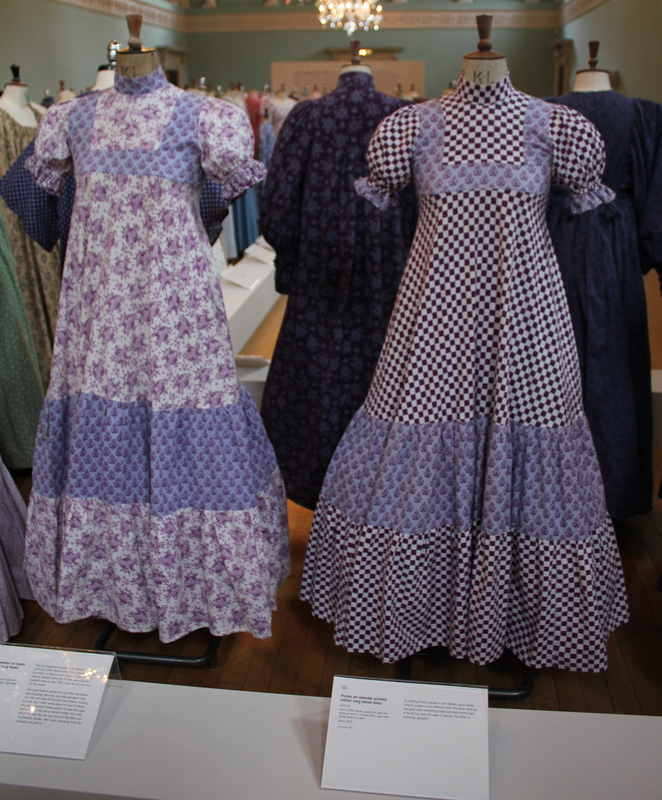 As you can see from my pictures you could get up nice and close to the dresses, and really have the chance to examine them closely. 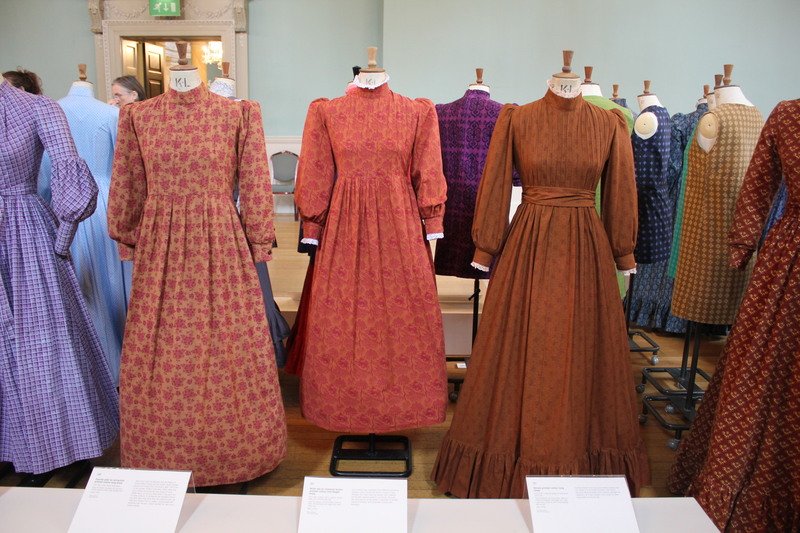 The space (as you rarely find with fashion exhibitions) was light and airy giving a chance for a real appreciation of the colour and texture of the dresses. A great job on keeping the public far enough away not to be able to touch, yet close enough to be able to see the detail. My advice? 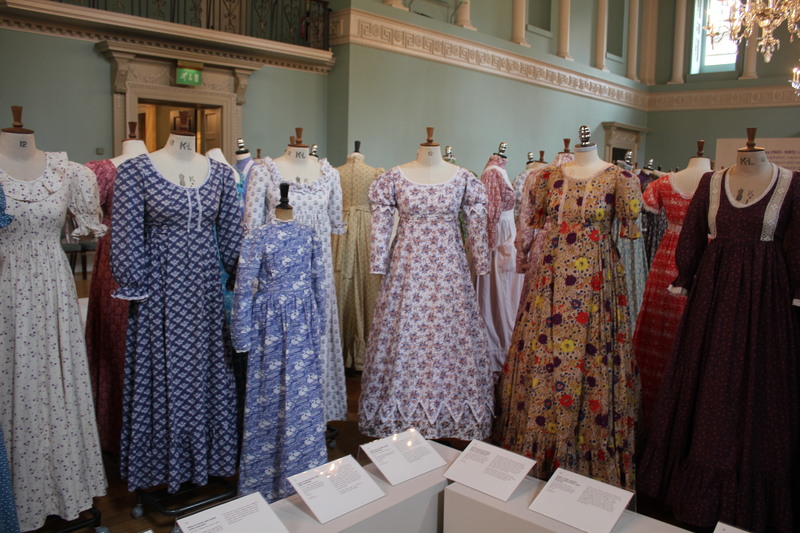 Get down to Bath before the exhibiton finishes on the 26th August, it will be moving on to the Bowes museum next. 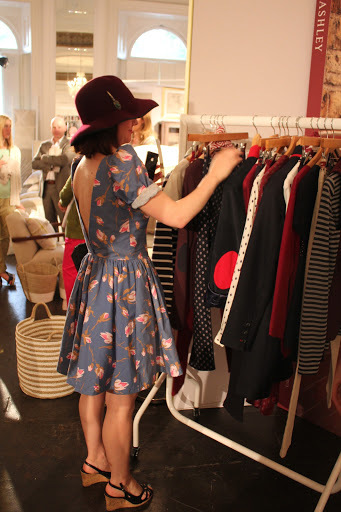 In the past few weeks I’ve been having what can only be described as a “brand love affair”. The brand in question? 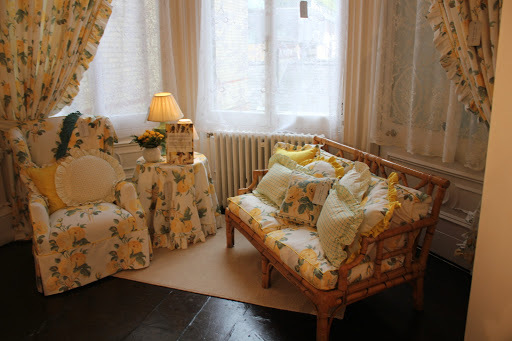 Good old Laura Ashley. 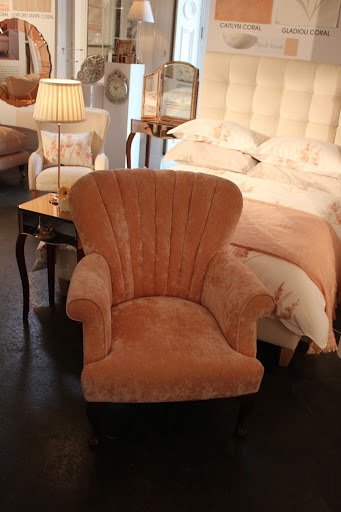 A few weeks back I was lucky enough to be invited along to their press day, and whilst there I entered their competition to “guess the year” and win a hamper full of Laura Ashley goodies. I ONLY WENT AND WON IT! 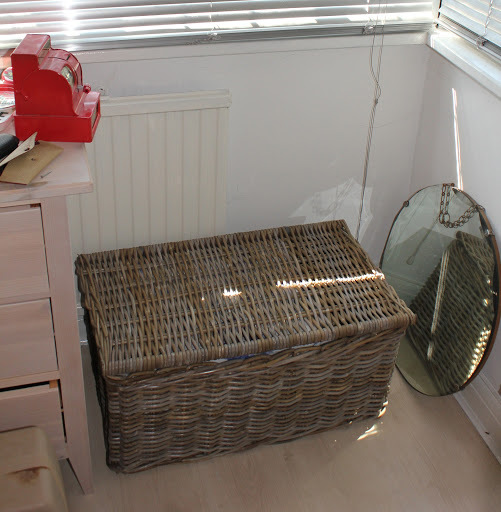 The hamper was ready and waiting for me when I got back from Glastonbury festival last monday and to say it was FILLED with delights would be an understatement. I’ve already got to work putting some of the lovely pieces to use. 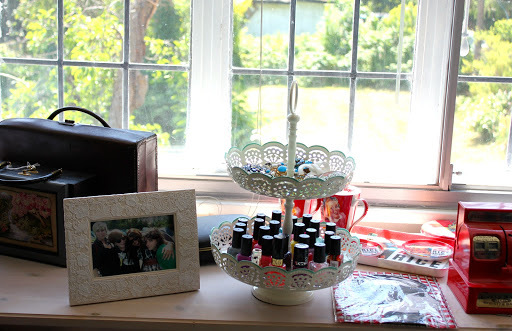 The photo frame has already been put to good use with one of my all time favouirte pics. 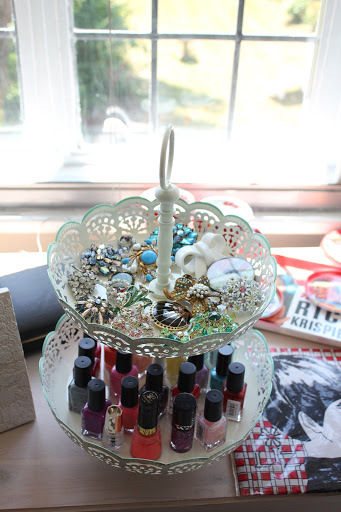 The cake stand is currently doubling up as a perfect holder for my jewellery and nail polishes, the colour fits in rather well with all of my other vintage pieces in my bedroom. 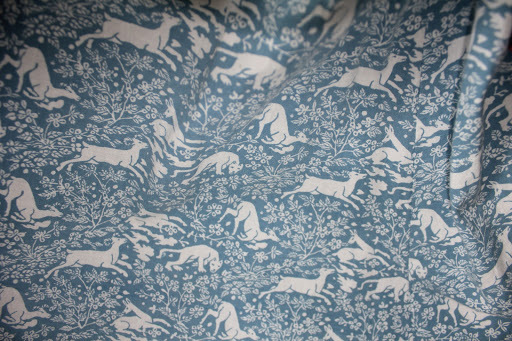 I absolutely adore this archive print scarf based on one of their original designs. It is such a me colour! 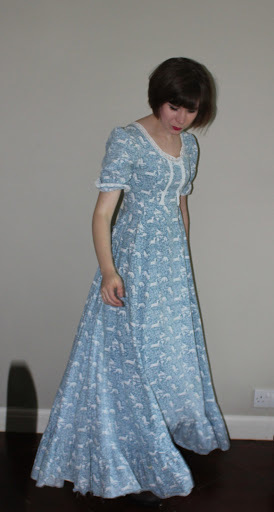 And I think my highlight the Laura Ashley book. I’ve been devouring this book to say the least! 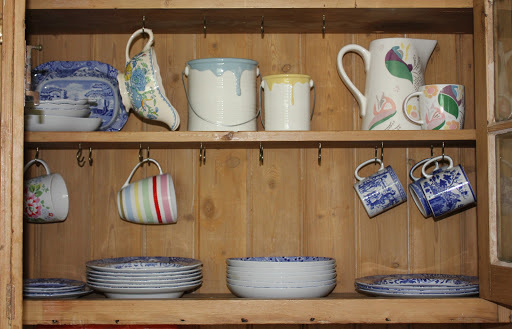 Filled with both images that demonstrate Laura Ashleys prowess as a homeware and fashion brand. 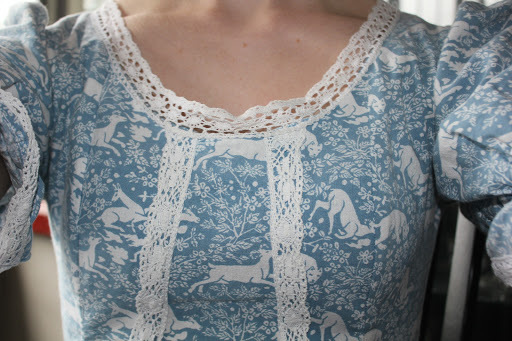 I’ve already noticed a few prints in the book that feature on garments I own. 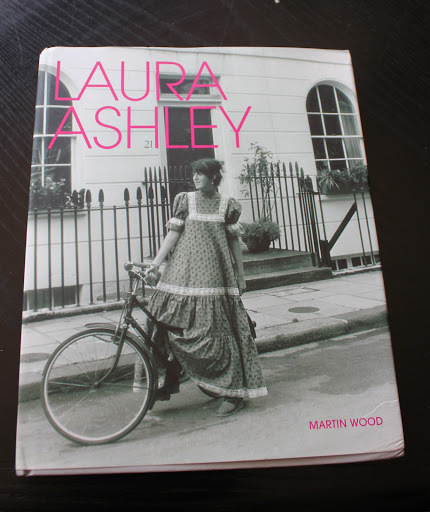 A post on my (albeit small) Laura Ashley vintage collection will be coming up soon, using this book as a reference point. 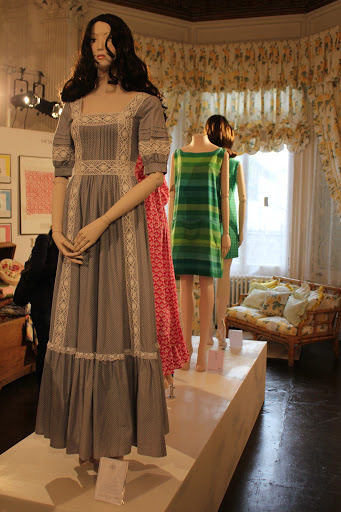 On Wednesday this week i was a super lucky lady and got invited along to the Laura Ashley press day. HUGE thanks to my lovely friend Naomi Thompson for getting me the invite to come along. 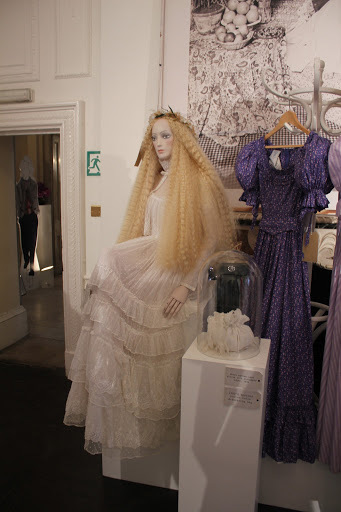 It was an interesting day where I got to meet lots of fabulous people, and also a great chance to see pieces from both the Laura Ashley archive and their A/W 2013 collection too. 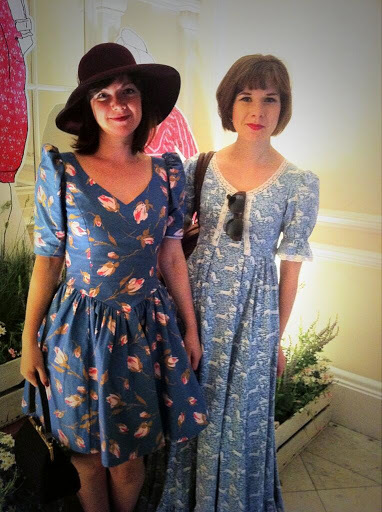 I turned up to the event wearing one of a number of Laura Ashley vintage dresses I own. 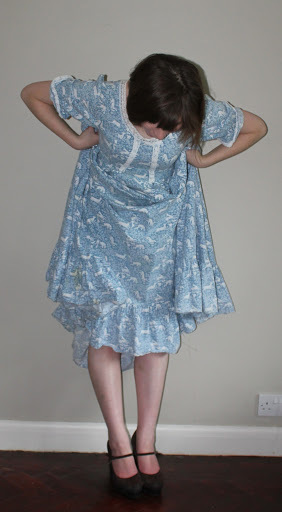 I adore Laura Ashley dresses for their extremely good quality. 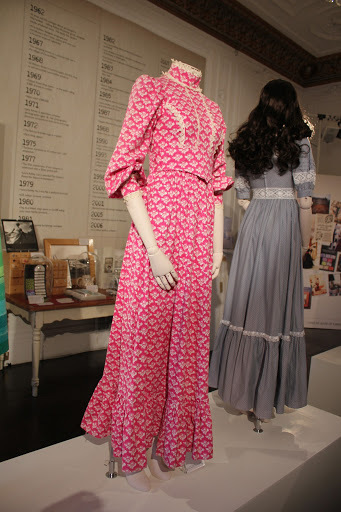 I chose to wear one of my early 70s numbers, but I have quite a few examples from the 1970s and 80s. 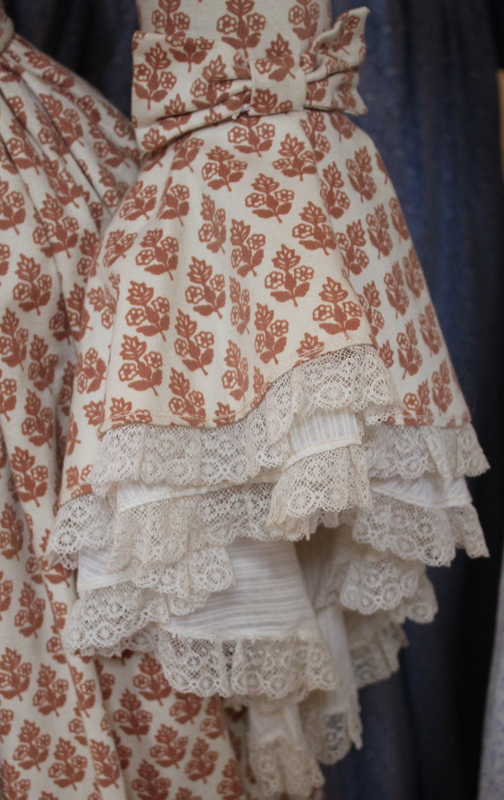 The one I wore is a novelty hunting print and exhibits Ashley’s love for Victoriana in both its design and use of print that has more than a whiff of the Bloomsbury set/ William Morris to it. 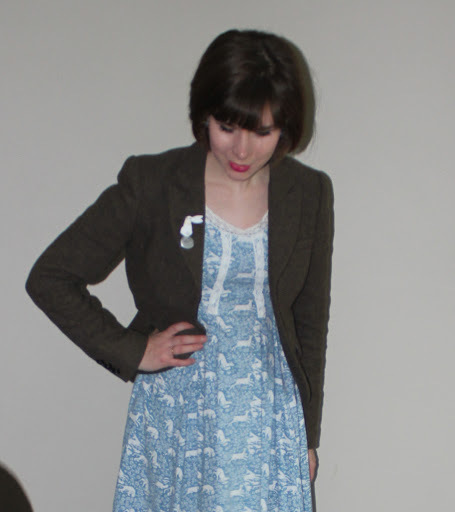 I wore my dress with a Jack Wills jacket embellished with two Tatty Devine brooches. As you can see I had to wear sky scraper high Office platforms with the dress, I think at 5ft 3 I was a bit too short for it! This is the label in the dress. 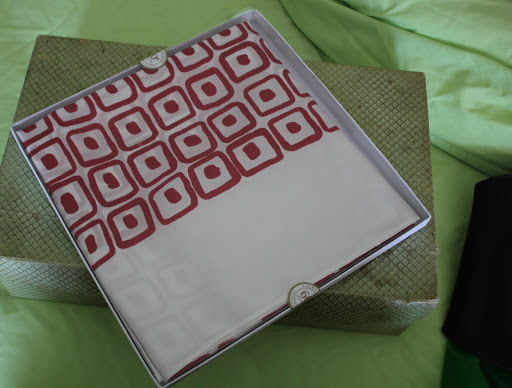 The bramble logo came in in 1972, and I assume this is an early to mid 1970s example of Laura Ashley. 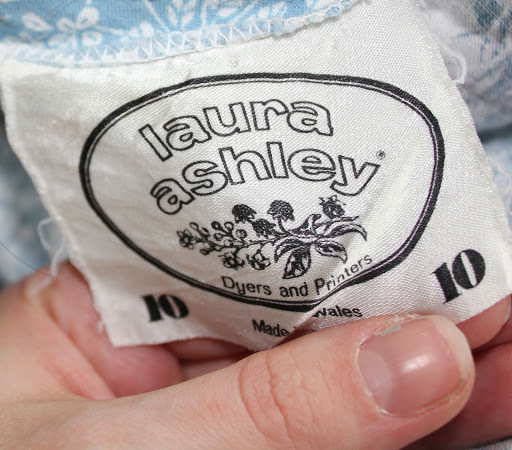 I’m always on the hunt for more Laura Ashley’s with either this label or the white label with Laura Ashley in black, so do get in contact if you have one you are looking to sell! So back to the press day itself, we arrived and were greeted by some lovely ladies from the team who were excited by mine and Naomi’s choice of outfits (Naomi rocked an 80s dress by the brand). i had my picture taken…alot! 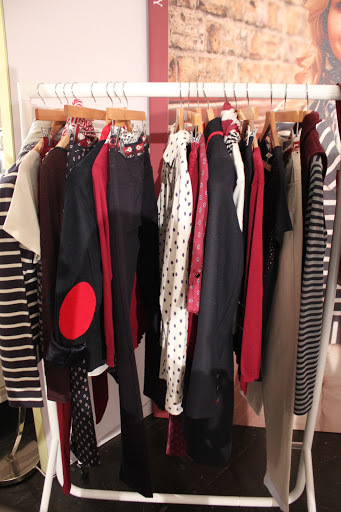 The Autumn winter pieces on show looked great. 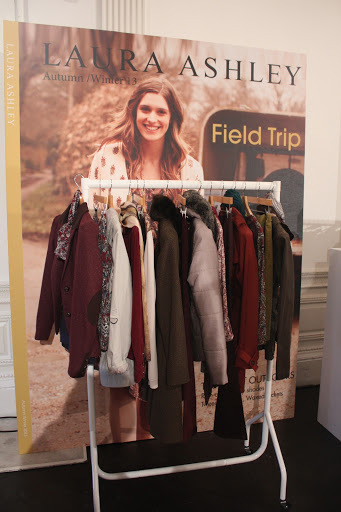 Their were two particular looks “field trip” and “homegrown” that I really liked. 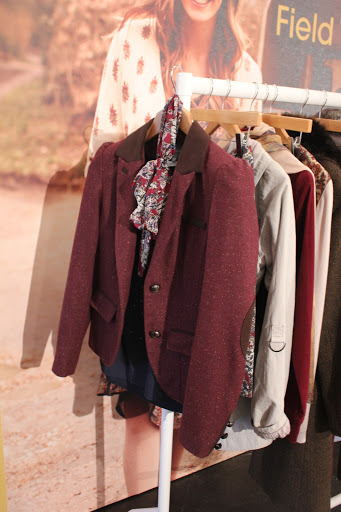 Top of both mine and Naomi’s wishlist was this gorgeous plummy burgundy riding jacket. 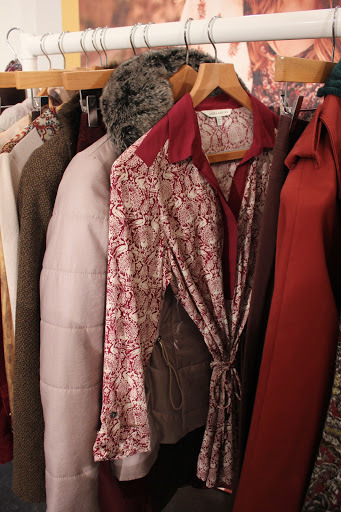 There were quite a few jackets in this style in the collection which I think will be perfect for Autumn winter. 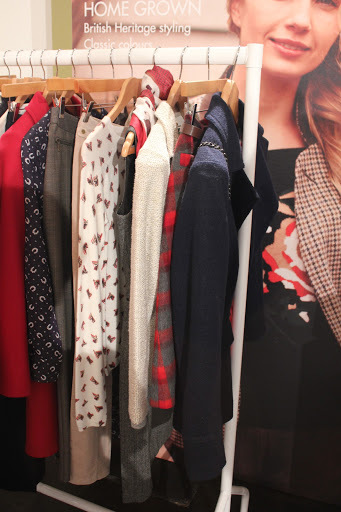 Another of my favourite pieces was a cute printed jumper (seen in the middle of the rail below). 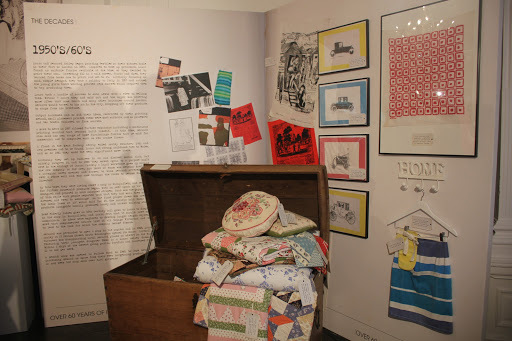 There were also lots of pieces featuring the archive prints but using them in a fresh and modern way. 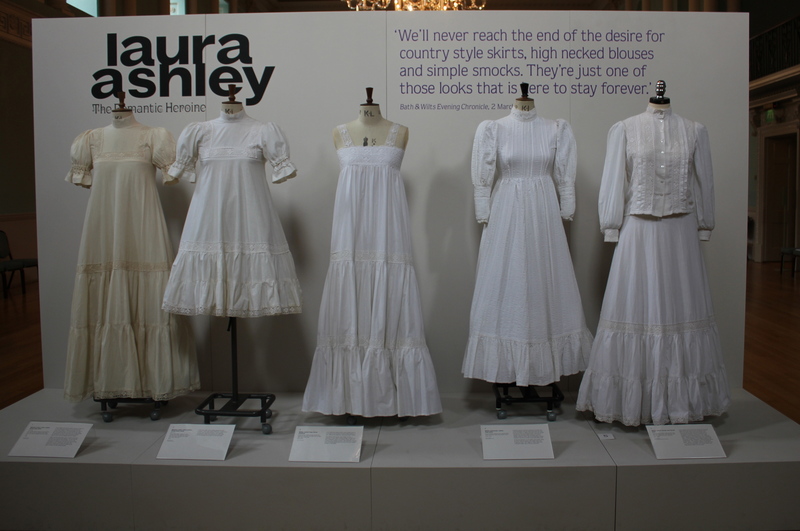 I adore the way that the Laura Ashley brand regularly references their past without just re-creating it all the time. 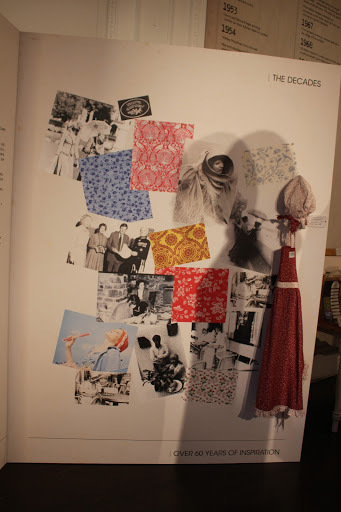 The monochrome pieces that took their inspiration from very early Laura Ashley were particularly forward looking. 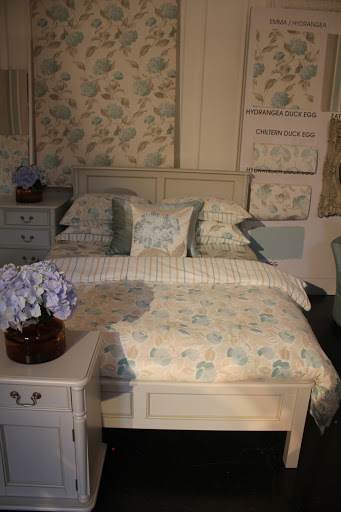 And their were lots of gorgeous printed bed covers and wallpapers too. 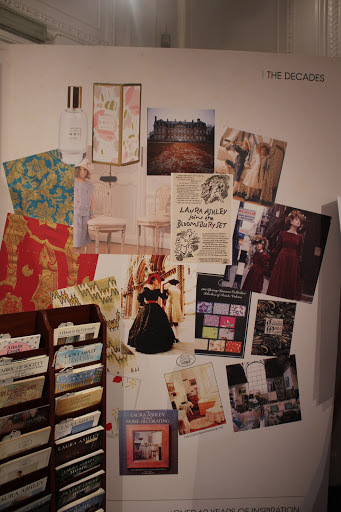 (The scented candles were ever so fresh…perhaps not what you would expect for Autumn Winter scents, but lovely nonetheless). 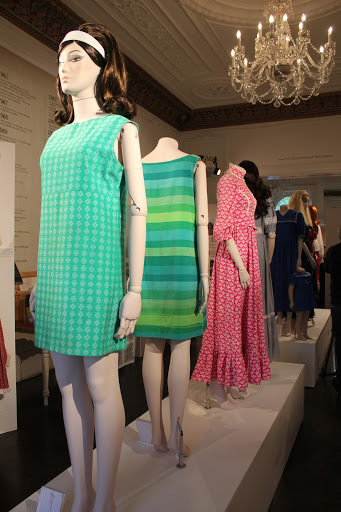 But, undoubtedly my favourite part of the day was getting to look at the pieces from the archive. 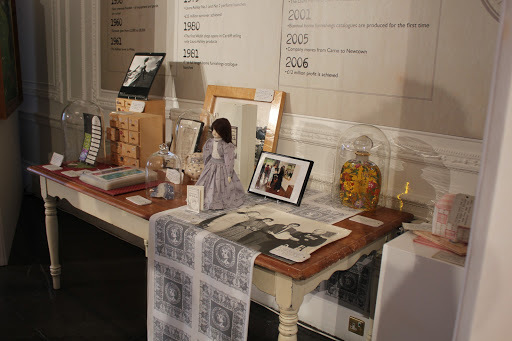 I’ll be writing a more in-depth history post soon, but for now I’ll leave you with a few interesting snapshots from the mini exhibition. For such a small space it really was packed with information. 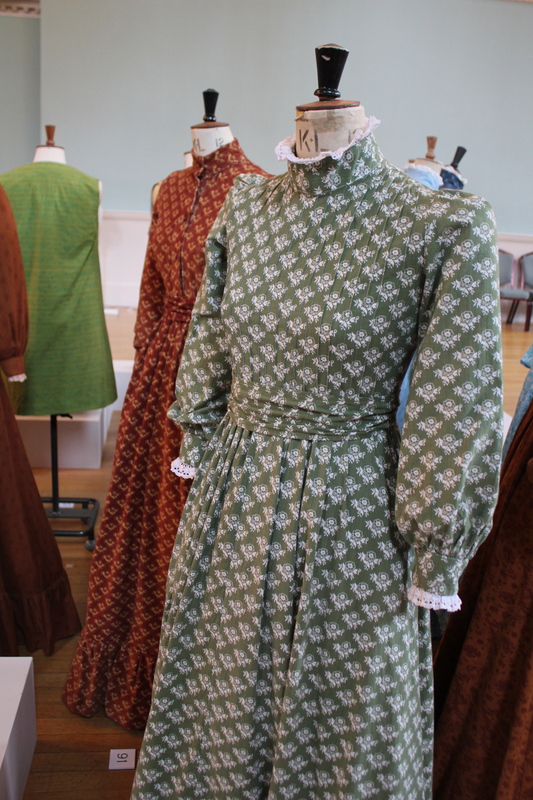 With my background in design I particularly liked being able to see both the designs themselves and the finished garments. It really demonstrated how a company archive can be a living thing that is functional as well as keeping a record of the companies history. 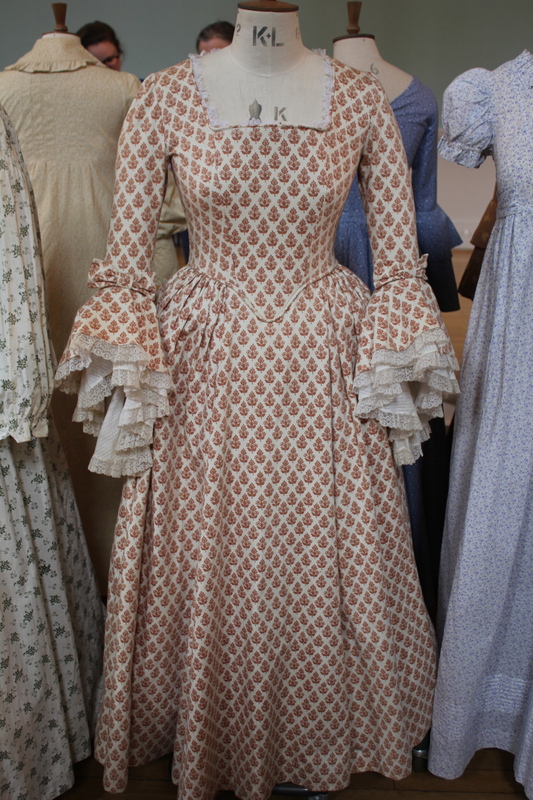 This was my absolute favourite piece in the archive. 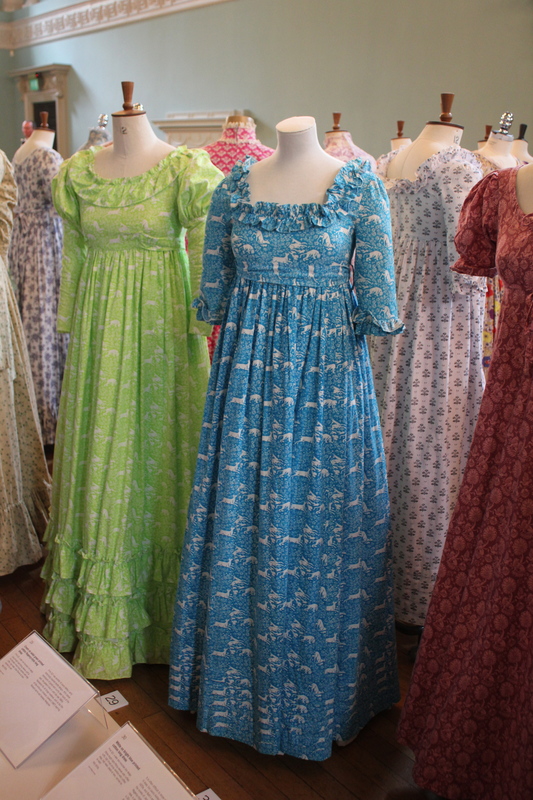 I felt that it really left me with a stronger understanding of where Laura Ashley was getting her design inspiration from. 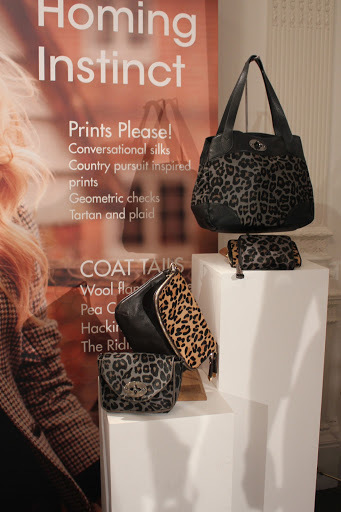 It also left me wanting to see more of the images that Jane Ashley took as a photographer for the brand. My sincerest thanks to the amazing archivist Angela for giving up so much of her time to speak to me too!